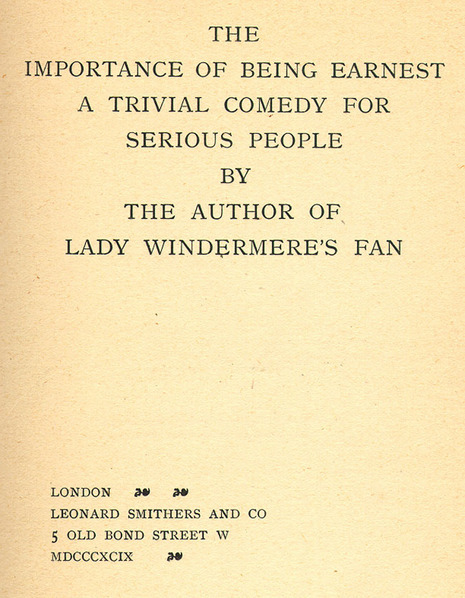 The Importance of Being Earnest at the St. James's Theatre was a Society Comedy about life in St. James's for audiences who lived or shopped or dined in St. James's. And Society Drama as a whole was a mirror in which fashionable audiences could see fashionable images of their own fashionable world of at-homes, dinner parties, and country-house weekends; a world in which gentlemen with hyphenated surnames, dressed in carefully-creased trousers and elegant cravats, made small talk with titled ladies dressed a la mode, and flirted, for a moment only, with the dreaded possibilities of adultery and interclass marriage; a world in which one could pause for a moment to consider what to do with the women of doubtful reputation in one's midst, but where one would not hesitate to banish these "fallen" women back to their declasse world of Parisian boarding houses and second-rate continental resort towns. 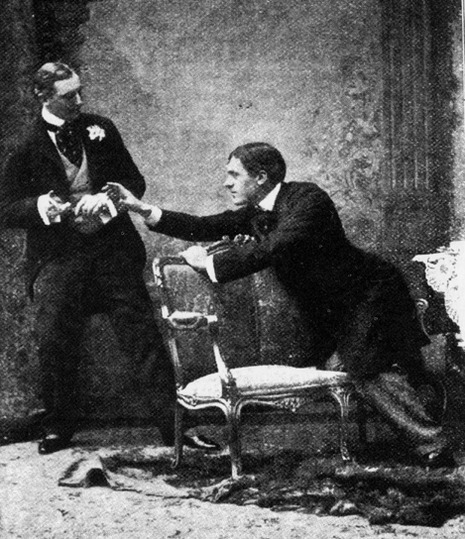 The snowstorm that covered London on St. Valentine's Day, 1895, could not prevent the opening night at the St. James Theatre of The Importance of Being Earnest from being a major event. This was Oscar Wilde's fourth West End play in three years, and fashionable London was out in force, in their most elegant clothes. As a tribute to Wilde's dandified aestheticism, women wore sprays of lilies as corsages and many young men wore lilies of the valley in the buttonholes of their tailcoats. Any of the audience with tickets in the orchestra or the dress circle were required to wear evening formal dress for every performance.